UFO Concerto, my first solo work for euphonium and orchestra, is not a traditional concerto in the classical sense. It consists of five movements that are thematically related to one another. The opening chord may sound familiar to some listeners: This chord and the first theme are based on the same five-note chord used in ‘Extreme Makeover’ and ‘Planet Earth’ in 2005: a major triad with an added 4th and a 7th. This chord has been obsessively present in my head ever since -- I could not resist using it again! Both the chord as well as the main theme make appearances in various shapes and forms throughout the entire piece. The orchestral version was initiated by British virtuoso David Childs, to be played by him and the Royal Liverpool Philharmonic at the 2015 Welsh Proms in Cardiff. David was also involved in the consortium for the original concerto, written for wind orchestra or brass band. 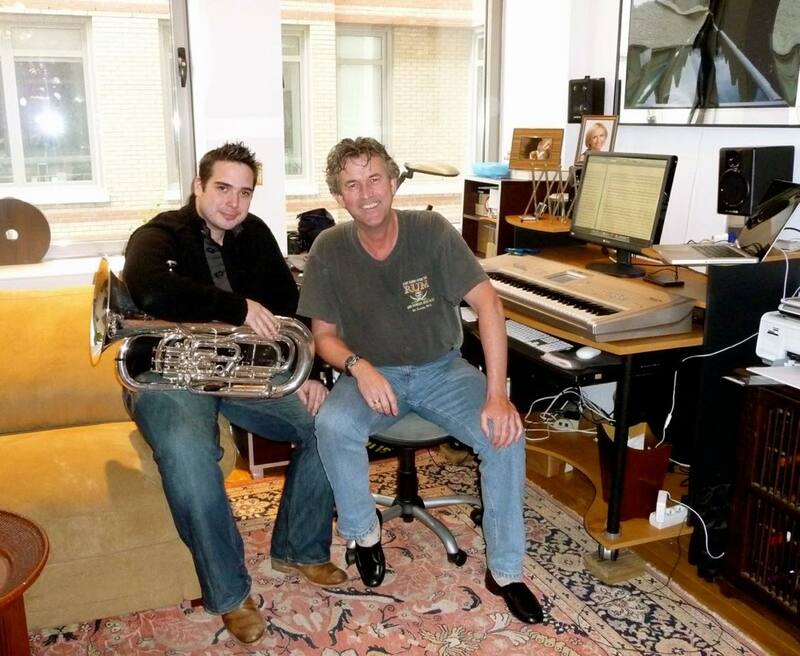 David premiered the brass band version with The Cory Band, conducted by his father Robert Childs at the 2012 RNCM Festival of Brass in Manchester, and recorded the wind version on CD [Extreme Beethoven] with the Banda de Lalín.